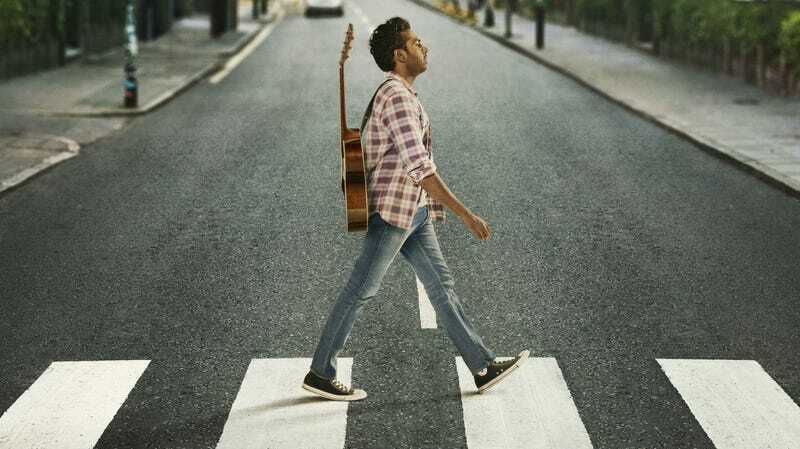 Himesh Patel is the only person who knows Beatles songs in Yesterday. Oscar-winning director Danny Boyle wanted to make one quick movie before directing the new James Bond film. He just had to. And though he ended up leaving the Bond film, the question was always, “What movie couldn’t wait for James Bond?” Now we know and we totally get it. The film is called Yesterday and it’s about a world where, somehow, nobody’s ever heard of the Beatles. Except for one guy. Watch the exceptional trailer here. So basically Boyle, along with screenwriter Richard Curtis, had an idea where they could use a sci-fi trope to make a movie about Beatlemania using all-new versions of Beatles classics, rights that are notoriously difficult and expensive to procure. Yeah, it makes sense. How do you not make this movie? Yesterday looks like it not only captures that sense of joy we get from Beatles music, but shows a modern spin on their legendary rise to fame, and questions the notion of art along the way. This looks like it could be special. Yesterday stars newcomer Himesh Patel, as well as Lily James, Kate McKinnon, and, yes, that was Ed Sheeran. It opens June 28.